Dr. David Chisholm was born in New York State. He studied at Oberlin College (B.A. ), the University of Erlangen, the University of Chicago (M.A. ), and Indiana University (Ph.D.), followed by a year as a Postdoctoral Fellow in German at the University of Cincinnati. Before coming to Arizona, he taught at the University of Hamburg, Indiana University, the University of Cincinnati, and the University of Illinois. 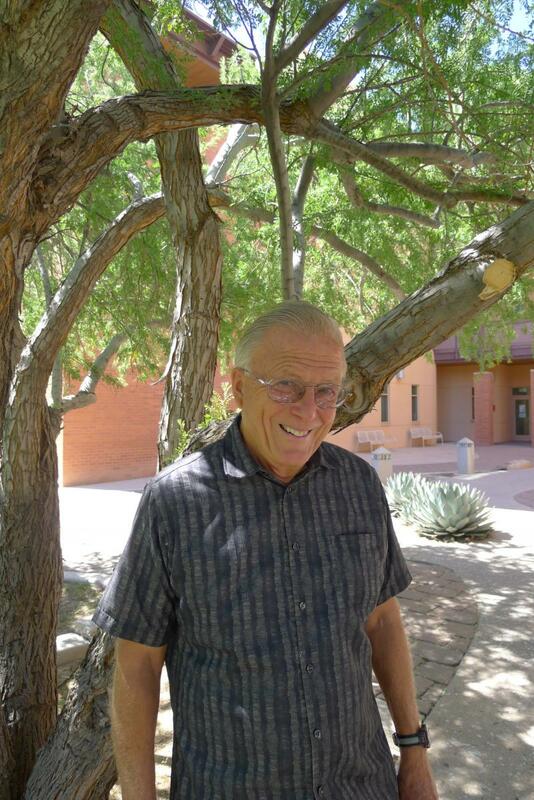 He has also taught seminars on a variety of topics at the Deutsche Sommerschule von New Mexico. His teaching and research interests include German literary-political cabaret, interrelationships between music and German literature, German lyric poetry, versification, and linguistic approaches to literature; he has given lectures on these topics at various universities in the United States and Europe. Honors and awards include Fulbright and Alexander von Humboldt fellowships for research in Germany (University of Bonn, National Literature Archive in Marbach, Academy of Arts in Berlin), and he currently serves on the board of directors of the Alexander von Humboldt Association of America. Among his publications are books on Goethe's Knittelvers, Konkordanz zu den Gedichten C. F. Meyers, and Verskonkordanz zu Goethe's Faust, Erster Teil, as well as articles on German literary-political cabaret, music and German literature, phonological and prosodic aspects of German and English poetry and prose, and methods of encoding German texts for linguistic analysis. He has also translated German poetry, prose and radio plays into English, and is a contributor to the Princeton Encyclopedia of Poetry and Poetics and the Columbia Dictionary of Modern European Literature. In his spare time he enjoys concerts and theater, piano, swimming, hiking, and tennis. Focuses on a literary genre and its historical development from its beginnings to the present through a close study of representative tests. Taught in German. The interrelationship between music and German literature from the 18th through the 20th century. Concentrates on major works of German drama, poetry and prose, and their musical settings. Lectures in English. Readings primarily in English, some German. Students taking GER 455 for German Studies credit must have advanced proficiency in German. The interrelationship between music and German literature from the 18th through the 20th century. Concentrates on major works of German drama, poetry and prose, and their musical settings. Lectures in English. Readings primarily in English, some German. Students taking GER 455 for German Studies credit must have advanced proficiency in German. Graduate-level requirements include two oral reports or lectures-recitals on a specific topic. Students taking GER 555 for German Studies credit must have advanced proficiency in German.